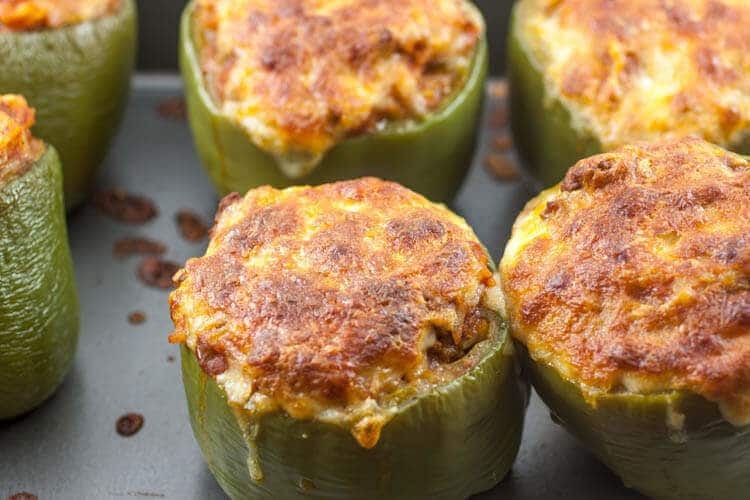 These Stuffed Bell Peppers are full of delicious, flavorful ground beef and topped with melted shredded cheese. So good!! 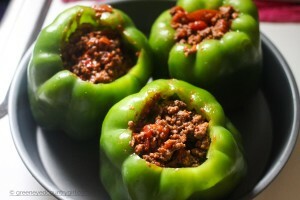 I personally love stuffed bell peppers but unfortunately, my husband does not so I don’t make them very often. Yesterday though I threw these together. 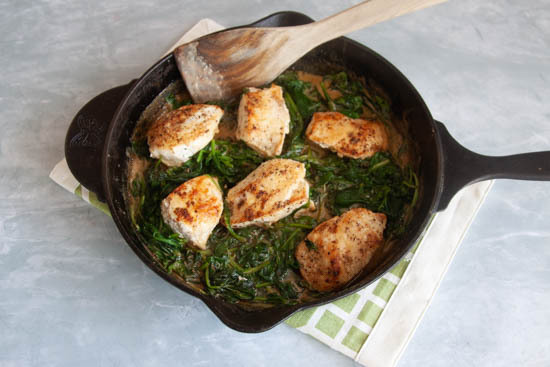 These are easy, filling, and good for lunch the next day too. Instead of just throwing ground beef into some bell peppers I mixed some chipotle flavored chunky salsa in with the beef to spice things up. They were quite spicy but they were SOOOOO good!! What do you think about spicy food? Let me know in the comments below ↓. Brown ground beef, drain & mix in half of the salsa. Cut the tops off the peppers and scrape out the seeds inside. Stuff the peppers with the meat mixture. Place peppers on in a baking pan and cover with foil. Bake at 350 for 10 minutes, uncover top with shredded cheese and bake for 15 additional minutes.